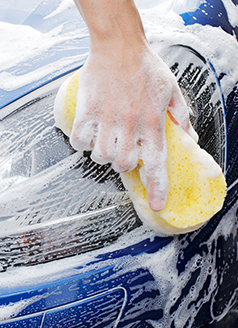 While you get your car washed, register to win 5 free oil changes! Speak with an advisor for details. Other restrictions may apply. Car wash only. Does not include vacuum and tire shine. Oil change discount valued at 24.95 per oil change. Must call to schedule. Limited availability. Only 10 per Friday. We reserve the right to confirm coupon and price. Offer expires 10/31/19.